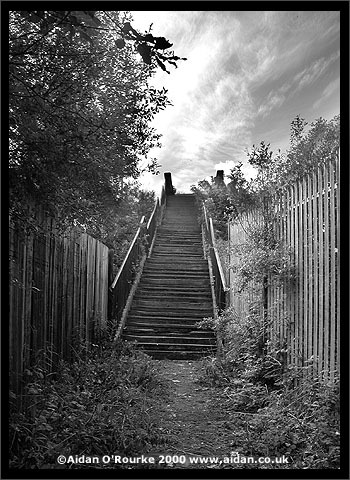 Is this a footbridge that leads to Collyhurst from an area called Barney's Tip. Yes, this is the footbridge you used to cross. A few people still use it, though it's a lonely and negected place nowadays - it would be easy to fall down those steps, they're so delapidated. It's great to hear the personal associations you have with this location. See also the message from Steve C.T.I.D. at the bottom of this page. Hi Aidan, I have just done the tour of Manchester on your bike ride, thank you for the lovely picture of the lake and swans at Clowes Park, [Broughton Park area] it brought back many happy memories, of my childhood collecting frogs from the stream leading into the lake, and my mother having hysterics when I took them home. The church with the spire shown in that area, I attended several times probably in the very early 1950"s, but I cannot remember the name, it had a lot of beautiful stone work. Aidan you put a lot of effort into this web site, thank you very much. Thanks for your comments. I'll soon be updating the article about this church, so please keep checking the latest pictures. I'll also be continuing my bike ride round the City of Manchester. Very glad the photos jogged your childhood memories. Aidan: By accident I came across your website and photos. 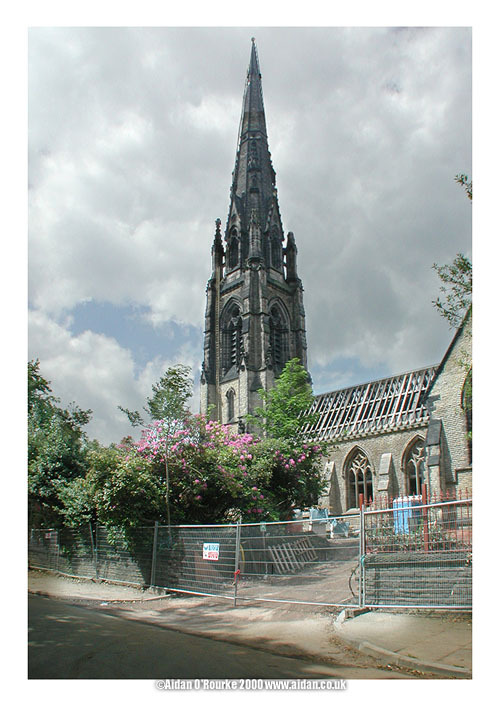 I had been looking for any information I could find about Manchester because I have several relatives who were christened at the Cathedral in 1820 and 1848. Do you know if this Cathedral is still standing and if there is a website that would show a picture of it? I live in the US and will probably never be able to come to England. I have to say from your photos that Manchester looks like a beautiful place to live and visit. So much history!! You've done a great job! Thanks for your message and positive comments. Unfortunately, the way the current redevelopment of Manchester is being handled, soon there may not be very much history left. 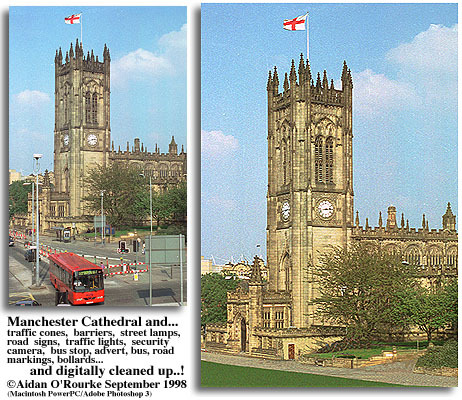 Yes, I do know of a website where you'll find pictures of Manchester Cathedral - it's this one, Eyewitness in Manchester! Aidan, Further to my last message and after having let the mother check the image I'd like to make a couple of corrections. Greenfield Street School is not visible on the photo, it is/was just off the right edge. What I thought was the school is a modern development. 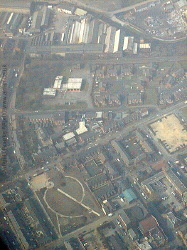 Boardman Street is still there, on the very edge of the pic at its junction with Great Norbury Street. The yellowy car park does however contain the side of the street where my grandmother's house used to be. Thanks for your message - as ever, I love hearing peoples' personal associations with places, whether viewed from street level or, as here, from a plane. Hi I used to live in Manchester - Moston in fact. I lived in Moston Cottage Moston Bottoms, do you know of it or remember it? It was also the MOSTONBROOK ANIMAL SANCTUARY, it was torn apart by yobs after we were forced out by the council in 1996. If you have any photos of it or that area I would love to see them. My full name is HAZEL WILKINSON WRIGHT, although now I have to live in west Wales, I do so miss my beloved city, and I do write about it often. I am a writer and a poet I was so pleased to find you on the web. 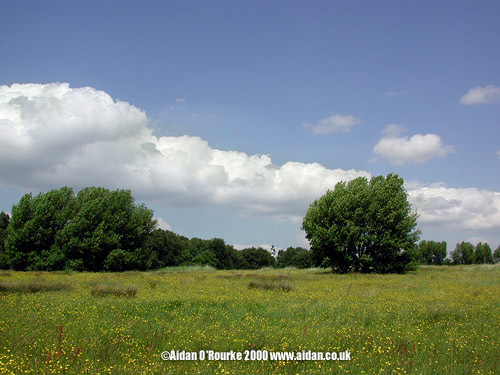 I don't know Moston Bottoms - does anyone have connections with it? Hi Aidan, Lynda Jones here in Adelaide,South Australia. I wrote you a while back, after recognising the flight path photos near Manchester Airport. Just a query, if you can help. There was/is a cinema in Northenden, just off Princess Parkway. 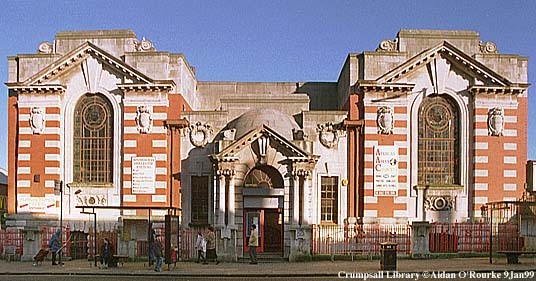 A large cinema with impressive frontage. I've been trying for weeks to remember the name, as it has great memories for me, but cannot for the life of me remember. It could have been pulled down by now, or used for something else. The cinema is, or was, called The Forum, and it's now a Jehovah's Witnesses Assembly Hall. It was built in 1934 and had a Wurlitzer organ. The Jehovah's Witnesses have renovated it and maintained it very well. I never went to this cinema myself, but some friends of mine used to live very close to here on Beech Avenue. Hi Aiden, Thanks for the photo's of Manchester Ice Palace, I spent many happy hours there when it was an Ice Rink. My Granddad also a Charlie Usher, worked for many years in the skate hire shop and his home was the converted Police Station next door, My Brother Clive was a skating instructor at the rink and was the youngest instructor in the UK at the time, My Mother Florence Usher also worked some times in the cloak room, so Aiden thanks again for the photo of my second home !!. Ask anyone in the street about Manchester Ice Palace, and practically no-one will have heard of it. It's a part of 'lost Manchester' - good title for a book that. Starting at the end of Cheetham Hill there was "The Globe" known to the locals as " The Bug Hut " then there was" The Shakespeare" on Halliwell Lane ",The Greenhill " on Cheetham Hill Road opposite "The Premier"
I wonder how many of your readers went to the ABC Minors on a Saturday Morning? Further down was "The Temple" then "the Odeon " All gone now I expect. Thanks Once again for all your hard work, it's great for all us expats, Cheers from a Sunny but cool Sydney Australia. Once again you have revived memories of my Manchester life, although it does seem as if it was lived by another and not me. I remember the Ice Palace in Derby Street, I used to go there most Saturday afternoons, when we weren't going to a Matinee at the pictures. 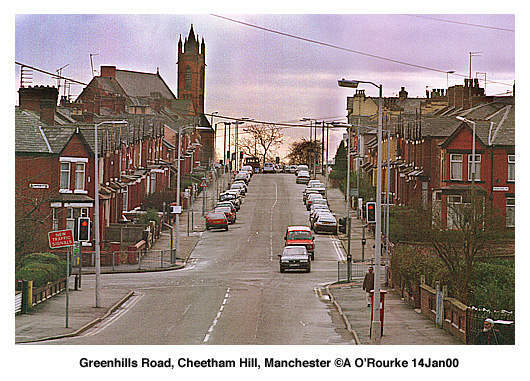 I wonder if anyone else remembers the Greenhill, now an Asian grocers on Cheetham Hill Road, or a cinema, name of which escapes me, on Halliwell Lane, which became the first supermarket in the Hightown/Cheetham area. 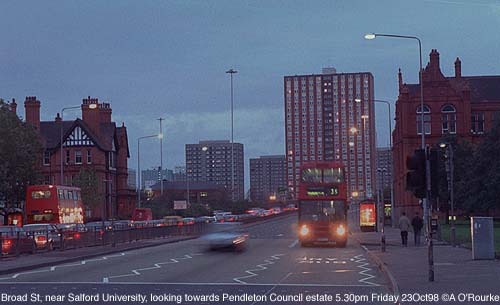 Also another which was just off Cheetham Hill Road in the Village, and which was known affectionally as the bug hut, or the Premier on the corner of Albyns Avenue and Cheetham Hill Road,and the Odeon further down on Cheetham Hill Road? Or for that matter, the Temple,not far from the Odeon? I've seen many a picture at them all. I'm still a great film fan, here in Melbourne. Oh my, am I wallowing in nostalgia! Thanks once again, Aidan, you make my past seem like yesterday, and longing for the old days! I am a Canadian living on the Pacific Coast of Canada. When I was in my early teens I was sent to school in Heaton Moor from Saskatchewan for a few years. That was before they invented the term culture shock but I am sure I experienced it. Yes, that sounds about right - a long time ago, but I'm sure it's still fresh in your mind! AIDAN FIRST OF ALL THE 'AVENUE' CINEMA DISAPEARED SEVERAL YEARS AGO. THE SITE IS NOW A QUICK SAVE FOOD STORE. THE CINEMAS IN MIDDLETON ARE (WERE), THE PALACE AT THE TOWN CENTER OPPOSITE MIDDLETON GARDENS (NOW LONG GONE) THE EMPIRE CINEMA WAS ON CORPORATION STREET, BOTH SITES NOW NOW DERELICT BUILDINGS. THE THIRD CINEMA IN MIDDLETON WAS THE VICTORY ON WOOD STREET, IT WAS ABOUT 50 YARDS UP ON THE RIGHT FROM THE BANK. Thanks! It would be nice to have old photographs of these cinemas - I'm working on it! As a Mancunian, born and bred in Blackley, schooled at Plant Hill, now residing in Kelowna, Canada. I would like to thank you for posting the photo's of my beloved hometown. It was like walking down memory lane, especially as I used to be an ex-Salford bus inspector from the now defunct Frederick Rd. bus depot. 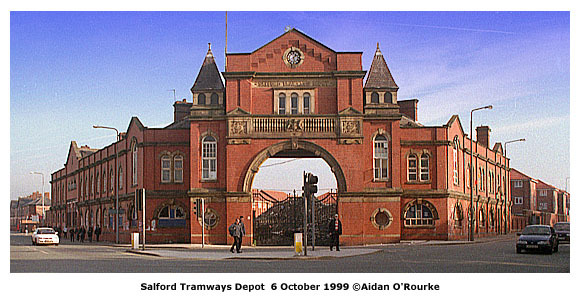 Last time I was over there, I purchased a book from Salford Museum, called "Salford As It Was". It would be interesting comparing how it was then to how it is now. I bet in a lot of cases, there would be very little difference. In fact I would venture to suggest that might be a good idea for a book, famous sites of Manchester & Salford, as it was then and how it is now. I would have also liked to have seen a photo of the cinama at Victoria Ave in the cinema section. I do hope that you are also going to preserve in photo's Maine Rd. football ground, before Manchester City leave it. Thank you once again for the memories. Yes, now that you mention it, I must take photos of Maine Road ground. I'll be passing Victoria Avenue soon, so I'll try and include the cinema, and I'm working on a 'Then and Now' idea. Thanks for your message and all the best. Hi Aidan, I loved taking a look at all the photographs of the cinema's in and around Manchester, but what about the Rialto Cinema, on Bury New Road, Salford. I was born and brought up in Hilton Street, right next to the Rialto, so this place has lots of memories for me and my siblings. Last time I was home, last November, I think one of my sisters mentioned that they were maybe going to restore the cinema, which I think is a wonderful idea, as many of these old buildings are being torn down and what is being put up in their places, are cold structures with no character at all, anyway, I need to get off my band wagon now lol. I just wanted to thank you, as always for such a marvelous job of keeping me informed of the goings on in Manchester. I love your pictures and all the information you bring to my world here in Charlotte, North Carolina, USA. I am very sorry to have to inform you that the Rialto Cinema has become another victim of the demolition man's hammer. Like the Devonshire Pub in Longsight, it is to be replaced by a fast food outlet, McDonalds, I think. I include a picture of the site, taken July 2000. The way things are going, Manchester will have very little to distinguish it from other cities within a few years, so we might as well all move to Milton Keynes. We are sad that the Ambassador is to be demolished, but last time we saw it 3 years ago it was looking sad and lonely, and run down, most of the cinemas I knew as child /young woman in Swinton/Pendlebury have already gone, think only the former Ellesmere is still there, but not as a movie place, as a restaurant I think. Did print the cycle trip for for family to read, and for me to keep, will now also print the cinemas one as well. Glad you like it! I don't think the Ambassador is looking so sad that it couldn't be renovated for a new use. The former Central Station was in a terrible state, but look at it now as G-MEX. Hi Aidan Please include this message on your pages. My wife and I emigrated to Perth WA 12 months ago ( at the age of 50). Yes it was scary. When still in the UK I taught literally hundreds of people at Salford 100 Venture to set up their own business. I'm doing , amongst other things , the same in OZ. Anybody who was on the courses at Salford 100 I would be pleased to hear from. You may be pleased to know that today it's raining, sorry it's just stopped and its clear blue skies again, we do have a winter you know! I've heard about those Australian winters - sometimes it gets so cold you have to switch on the heating, so I'm told. Our winters here in Manchester have become milder in recent years. Here's a wintry dusk view of Salford to remind you of home. Here's another idea for you. The City of Manchester should suggest that Man U should change its name to Stretford United. Or that Manchester might as well be called Miles Platting because of all the divide-and-rule gerrymandering keeps the wider city diminished, underepresented, and poor, without a mayor and without a GMA. I imagine some rumblings of home rule and the Lothian question would help, along with a mention of the Oxbridge elite and the Daresbury lab and Rolls Royce going south. Alternatively the City could say its going to sell Heaton Park for a private walled development. Don't say that too loud - someone in the (City of Manchester) Town Hall might think selling Heaton Park is a good idea. Another thought - As the local authority area 'City of Manchester' only takes in part of the Greater Manchester conurbation, how about making this fact clear by renaming it: "City of Lesser Manchester". Are they the ones off Collyhurst St near HMG paints. They lead over a piece of flat land where train tracks used to be to a travellers site on the other side? I was there myself a few weeks ago and thought they were intriguing. Looking back the other way there is a view of some empty, run down tower blocks that I thought would also make a good photo. Unfortunately I didn't have my camera with me then and I haven't been back since.BTW I'm not really a photographer but I do like pictures of the seedier sites of Manchester.You took some photographs of Trinty flats a while back at my request...Nice one bloke! I keep meaning to get out and about on my bike with my Digicam to take some pictures of my own. Yes, they are the ones off Collyhurst Road - it's very seedy round there - for me, that means 'interesting place to photograph'! This area is rich in railway and industrial heritage, but is now one of Manchester's many 'no go' areas, except for an adventurous few.